Saves Time - Our specially designed file boxes instantly assemble in one step. 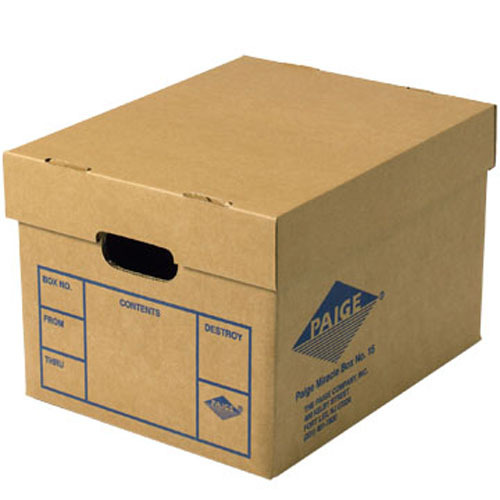 Sturdy -These file boxes are double-walled on all four sides and the bottom, guaranteeing superior stacking strength. Secure - Our three-inch tight fitting lid keeps documents where they belong. Price: Select an item to order, or contact us for volume discounts. Get exclusive offers & savings, sneak peaks of new products, helpful tips and more! Please write your name. Please write a valid email. Please call for personalized service or to place an order.